A twenty-three year old DJ/composer/producer with a growing international reputation wows the crowd with his inventive amalgamations and restlessly driving beats. It is a great name, hands down. Seredipitously, the birth name of this charming and energetic young DJ is Matan Zohar, so to derive Mat Zo from that is brilliant but not difficult. It is a wonderful happenstance that this British-American artist with Israeli roots and connections (among other things, his half-sister, Alma Zohar, is a recognized Israeli cross-genre singer of popular music) should be able to conjure such a vivid association with a traditional form of sustenance that is associated both with liberation and urgency. 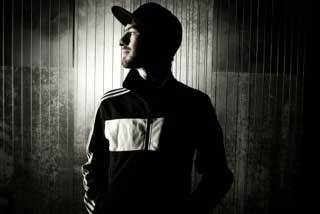 Mat Zo’s music is indeed liberated, in the sense that its willingness to play upon selected songs, and to meld, bend, bruise, shape and weave them at will in order to gain a greater degree of energy from the crowd, is unbridled. This is certainly spinning in the newer sense. This is certainly spinning in the newer sense. No longer does Mat Zo, like a more traditional DJ, use turntables to scratch out sounds and weave and interlace melodies from various recordings. His work is dominantly digital and electronic, and its effort to cut, paste, amalgamate and build upon quoted recordings represents an order of magnitude of change from older-style DJ transitions. The atavistic element of analog spinning, of returning to vinyl in order to scratch it manually, is virtually gone, replaced by pure digitalia. In addition to the unbridled quality is a relentlessness (particularly noteworthy in the concert at Royale Boston), exhibited by a driving beat that barely gives up, and a consistent high volume and energy level that leaves little room for deep breathing. Like a high powered exercise class for the auditory senses, it went on full tilt boogie for an hour and a half with barely a sneeze between cuts. The audience loved all of it, its energy never diminished, dancing on a virtual turntable along with Mat Zo throughout. 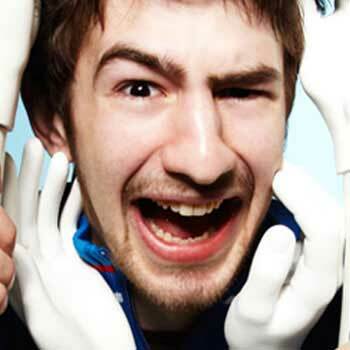 Remarkably, Mat Zo is a wizard at keeping things brimming; the room of mostly twenty-somethings, on their feet the entire time, was kinetically charged from the opening downbeat of his electric baton. 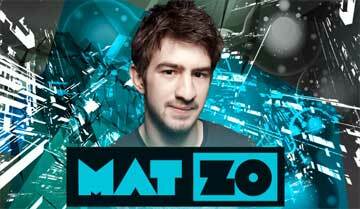 With only an occasional gesture or word to the audience – a raised arm or two moving rhythmically, or a brief expression of connection or enthusiastic appreciation – Mat Zo kept his attention to the controls of his console, but that seemed to be just enough to keep moving along at fever pitch. Like a high powered exercise class for the auditory senses, it went on full tilt boogie for an hour and a half with barely a sneeze between cuts. The audience loved all of it, its energy never diminished, dancing on a virtual turntable along with Mat Zo throughout. The audience was at its feet the entire time and frequently in unison with raised arms waving and flailing towards the stage as though filled with testimonials of musical rapture. And though the quoted songs were deeply embedded in a landscape of musical collage reconstituted by a sonic cubist, the audience seemed to sing along at various points as though the songs were actually being played. Mat Zo wore a big brimmed baseball cap during his performance and mostly just did his thing, beneath the glare and the bombast, without seeming to bask in any of it too seriously. He has a quietly focused presence amidst his very unquiet constructions, which, amid the energy and bombast, interestingly allows his work to speak for itself. 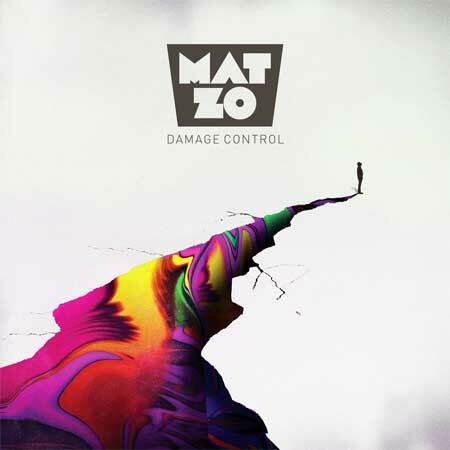 Damage Control, Mat Zo’s first album, is out, and one finds, among its fourteen cuts, a considerable amount of variation and nuance, especially when listened to at the volume of one’s personal choosing, making it more possible to register the innovations produced by Mat Zo’s cutting, pasting and aural manipulations. Superman Lost, the opening cut, begins with a quiet cry across the tundra, and then what seems like an emerging appeal from a voice out of Middle Earth, with growing populations of staccato tonalities that gradually build into a mountainous landscape of all these elements merged, fusing together nicely. It breaks into Only For You, featuring Rachel K. Collier, with a pinging buzz, a totally in your face bouncing beat, a ramp up from the easy come on of the first cut. But Collier’s voice is so round and sweet it is a kind of tempering of the binging punctuations that come before, again a chef-like balancing of sound-tastes that make Mat Zo widely regarded as a nouveau-sonic-cuisine practitioner worth watching. Caller ID is a highly repetitive, but somehow consistently amusing and revealing, track, repeating Calling me… about a million times, but in a way that actually draws a laugh, especially when a basso ‘hood voice stops the repetition to ask “who is that?” Funny. The Sky, featuring Linnea Schossow, begins very atmospherically, almost like a rechannelled version of Céline Dion singing her Titanic hit, but then it breaks into a textured and rhythmic improvisation which works very well to season up a slightly too sweet porridge. That kind of editorial gesture in a context like this reconfirms and substantiates the whole idea of remixing. Time On Your Side begins, appropriately, kind of from the side, breaks into some interesting rhythms all mixed up, then hits the main sort of disco-like theme. It is put together in a way that frames the standard with some embellishments that are so different from the tonal core of the song itself that it raises that core into relief. These manipulations serve as an interesting education for the ear as well as an entertainment – one actually becomes more aware of what one is habituated to hearing in a new way. Moderate Stimulation is a short cut that actually begins with a journalistic-philosophic reflection on that very theme, interestingly introducing an element of reflective self-consciousness into a dance mix piece. Hurricane, featuring Eyes That Lie, is actually a very subtle track, quiet, indirect, appealing in its suggestiveness and atmospheric embellishment as framed in Mat Zo’s imaginative remanipulations. 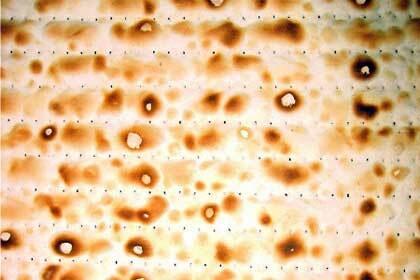 Thanks for posting this articulate, well written, descriptive piece! I’ve been to several of Matan Zohar’s dance music shows, and I can vouch for the fact that everything you’ve written is true!